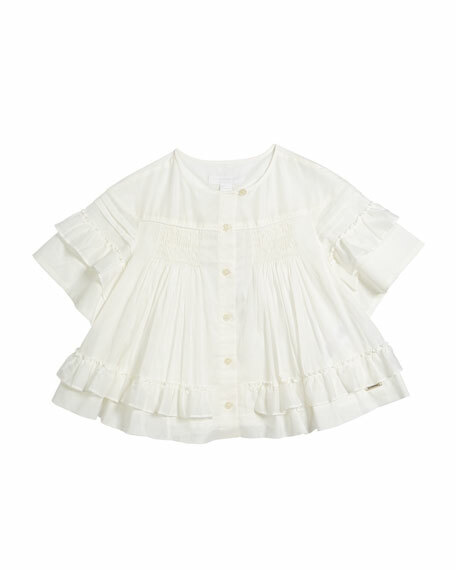 Burberry "Ruth" blouse featuring smocked chest with piping. Short sleeves with pintucked drop shoulders. Tiered ruffle trim at hem and cuffs. For in-store inquiries, use sku #2519270.